In the Middle Ages it was indicated the ecclesiastical prescription to refrain from eating meat from the first day of Lent, that is from the day after the end of the carnival, until the “holy Thursday” before Easter. 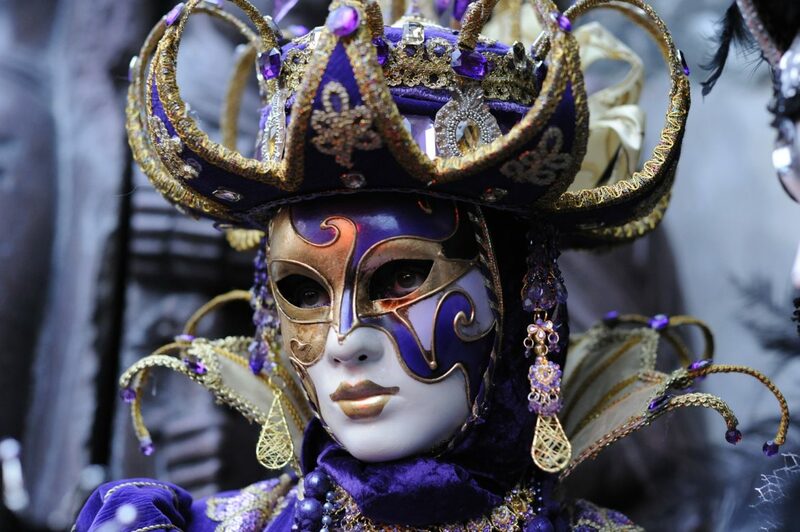 The Venice Carnival is the most internationally known festival celebrated in Venice, Italy, as well as being one of the oldest. 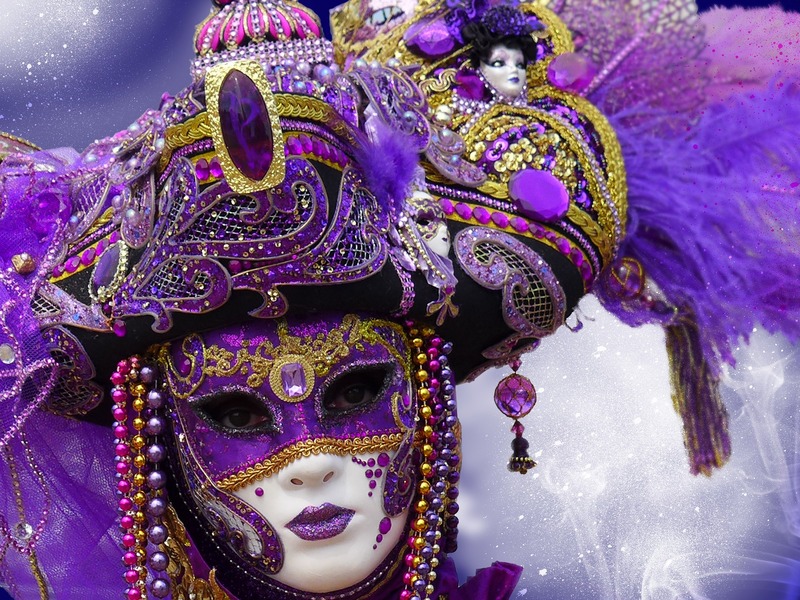 This congregation of masked people, called Venice Carnival, began in the 15th century, but the tradition can be traced back to the beginning of the 14th Century. Arts and Trades are the protagonists in this year’s Carnival. Live for the public in St. Mark’s Square – Mask makers, weavers, tailors and glass-makers in their 18th century Venetian workshops. Their most minute or delicate activities will be amplified on a big screen set up in the Square. Actors and masks will emphasize the important moments and phases during artisan activities; the groundwork used to transmit the message that arts and traditions in Venice, are real, unchanged over the centuries, and still present in the city. The St. Mark’s Square backdrop will be a frame to a giant living canvas with masks, costumes, and cloths, where the arts of the trades are framed by bursts of a gone-by Venetian life, where theatre and music alternate until a final triumph. 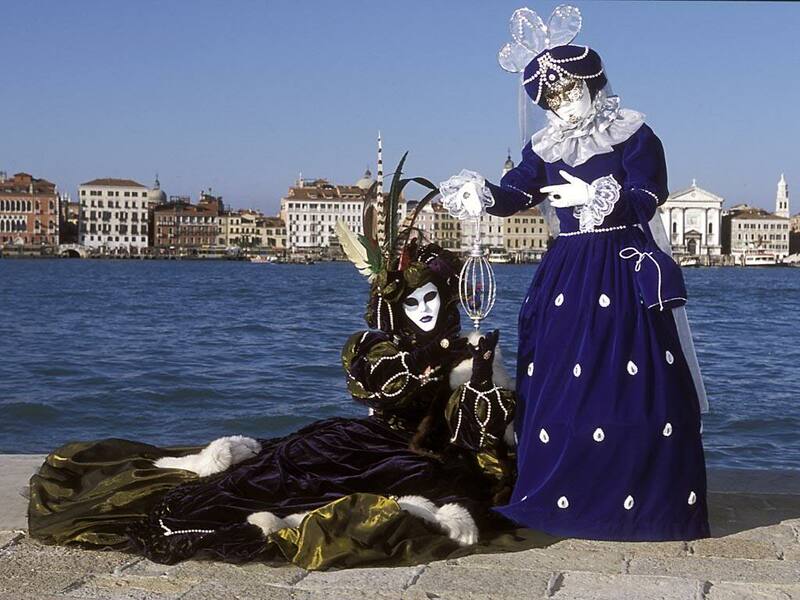 The involvement of cultural organizations spreads all over the Venetian territory and on the mainland with a cultural programme: a schedule that has been structured to include the whole period of events connecting city situations, from the Civic Museums at the State Museum centre, including private independent foundations in a precious calendar of events (concerts, conventions, exhibitions, theatrical and cinematographic shows) focusing on the carnival theme, works that testify the culture of arts and trades in Venice; iconographic itineraries centred on the arts even in sacred places; theatrical and comical events; fairy-tales and little theatres for children, to workshops where even they can become protagonists of handicrafts. Together with the mainland, where the Carnival will spread, and celebrations become a showcase exhibiting long traditions of Venetian life, even Calli and Campi in Venice will become places for musical and theatrical events. While preparations and re-enactments once again, present Venice’s relationship with arts and trades at the Arsenale, the “factory” par excellence.